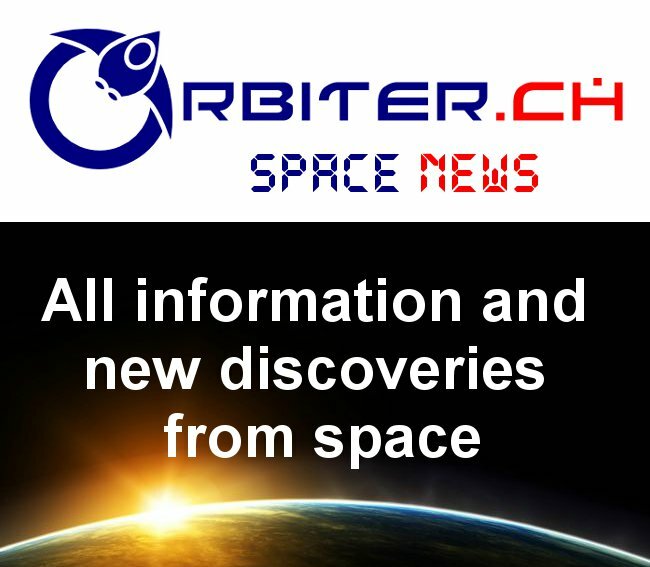 The US plan to create an expanded United States Space Force independent of the other five branches of the US military has slowly been taking form under the current Donald Trump administration, but the genesis of the concept goes back to the 1980's and Ronald Reagan's Star Wars Strategic Defence Initiative. Since the new plan will essentially absorb major components of existing North American defence, including the North American Aerospace Defense Command (NORAD), there is no question that Canada's current defence policy, as outlined in the January 17th, 2019 Federal government overview, "Strong, Secure, Engaged: Canada's Defence Policy," will need to reconcile existing policies and partnerships with future US intentions. As noted in the September 14th, 2017 Canadian Press post, "Policy says US won’t defend Canada from missile attack: Norad general," Canada might even appreciate an opportunity to revisit decisions on whether or not to accept (and assist with the implementation) or reject the new US defence policies. For example, the Department of National Defence (DND) Innovation for Defence Excellence and Security (IDEaS) program is currently funding the development of over two dozen new applications relating to space situational awareness and other activities which could be either adapted by the US in exchange for access to US space defence capabilities or deployed independently. Will Canada take advantage of this opportunity to re-assess its integration into the US defensive screen. Below is the first part of a short history of Canadian space defence planning which would suggest that there are certain defence components which Canada might want to carry out independently of the US. Lloyd Axworthy in the 1990's. Graphic c/o Graeme Mackay. To learn about the origins of Canada's military space policy, we need to start with something called the "1994 Canadian White Paper on Defence." It's a difficult to find the document these days although it was once a well respected and widely disseminated policy paper generated by incoming Canadian Prime Minister Jean Chrétien's Liberal government which outlined their plans for the Canadian military. 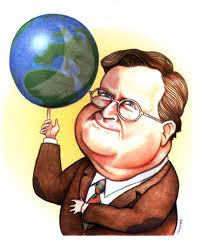 Called the "Axworthy Doctrine" after incoming Liberal MP Lloyd Axworthy (who helped originate and champion many of the ideas in the document), its intent was to provide a justification to scale back military expenditures allocated by the outgoing Conservative government and take advantage of the so called "peace dividend" expected to accrue to western democracies after the collapse of the Soviet Union in the late 1980's. Included among the cuts was Canada's traditional commitment to the "level and tempo of Canada-U.S. defense relations, particularly in NORAD, (the North Atlantic Treaty Organization, which) has been decreasing since the late 1980s" according to the document "Canada, Getting it Right This Time: The 1994 Defence White Paper" published by the Strategic Studies Institute (SSI) of the United States Army War College. Canadian financial contributions to the NATO allied infrastructure program and force levels for the them new CF-18 Hornet fighter jets were also cut back. But while military cutbacks to Canada's NATO and NORAD contributions might seem like a sane and sensible policy for some, those cutbacks also undermined two of the four traditional pillars of Canadian military policy (the other two are protection of Canadian sovereignty and international peacekeeping missions). 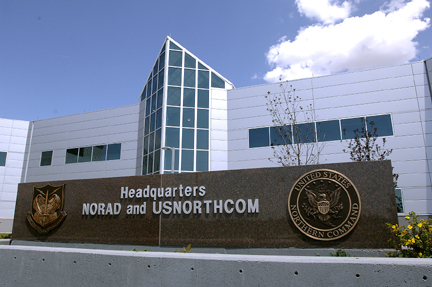 The current NORAD HQ in Building 2 at Peterson Air Force Base. The Cheyenne Mountain Military Complex, the traditional centre of NORAD activities is "no longer used on a daily basis" according to Wikipedia. Photo c/o Wikipedia. Even worse, the Axworthy Doctrine suggested that direct threats to North American security were unlikely in the foreseeable future. With three of the four traditional justifications for a Canadian military seemingly under fire from an incoming government mandated to slash spending, a new rationale was needed. This is where the Axworthy Doctrine got creative. It essentially doubled down on the final tier of Canada's military space policy, the international peace missions. It championed a concept called "human security" which challenged traditional notions of international security by arguing that it should be focused around the individual instead of the state. It also argued that the United Nations (UN) had a "responsibility to protect" people anywhere in the world against genocide and ethnic cleansing attempts, even to the extent of invading or interfering in the internal politics of otherwise sovereign nations. The 1994 UN mission. Graphic c/o Amazon. Axworthy (who eventually became Minister of Foreign Affairs in the Jean Chrétien government) felt this new Canadian military role could be undertaken by the existing Canadian Forces without the need for any additional military expenditures. In essence, the ruling liberal government could legitimately task the Canadian Forces with the Axworthy Doctrine and still cut military funding. Was this a great country or what? 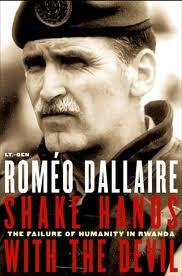 To be fair, the doctrine was widely considered to be a reasonable response to help prevent a repeat of the 1994 Rwandan Genocide where the Canadian commander of a UN peace keeping mission (Lieutenant General Romeo Dallaire) was prevented from taking steps he felt would diffuse the situation and save lives. ... sound warm and fuzzy on the surface, but underlying that vision is the cold hard recognition that military intervention may be necessary to achieve this end. Rejecting the sanctity of national borders that has been central to the UN since its founding in 1945, the proposal would create a sort of official licence to invade. The concept of a "license to invade" rogue regimes for the greater good found an obvious following in the United States (especially after 9/11) which initially provided much of the support infrastructure needed to send Canadian soldiers around the world. 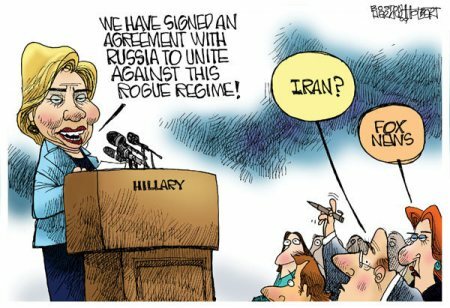 This 2010 political cartoon about "rogue regimes" comes from a simpler age. Graphic c/o Boston Herald. Unfortunately, the Americans soon started making noise about how Canada should build their own infrastructure, and not simply "piggyback" on existing US capabilities. Axworthy ended up being wrong about his doctrine not needing new expenditures to support combat capable troops on lengthy international missions. In essence, its not so much different from current US policy requests for allies to pay their "fair share" of military expenditures for communal defence. Some things never change. Oddly enough, the easiest way to support the Axworthy Doctrine was to develop an indigenous military space communications and surveillance capability to support Canadian missions abroad. Kinda like what the US is currently looking to leverage as the core components of their proposed US Space Force and quite similar to those two dozen proposals currently being funded by the DND IDEaS program. The early requirements for this communications and surveillance capability, which led directly to the formulation of Canada's 1998 military space policy, along with a bit of background on why there was no Canadian military space policy prior to 1998, will be the subject of our next post on this topic. Portions of this multipart overview were originally published in the December 27th, 2010 post, "Canada's Military Space Policy: Part 1, The Axworthy Doctrine." Next episode: "The Changing Political Landscape," as part two of "A Short History of Canada's Military Space Policy and How it Fits into the Current US Space Force Discussions," continues.